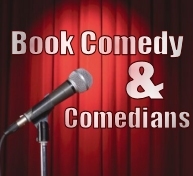 Book Comedy in my Venue - we provide the show for you! Laughing Horse has been booking and promoting regular comedy shows since 1998, at venues and festivals across the UK, and internationally at festivals in Australia and America. 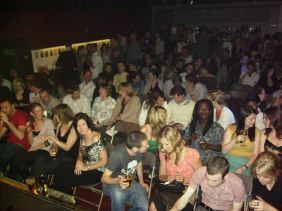 Whatever your venue we can supply comedians for your show and to help you have the best night ever. If you're a Theatre, Hotel, Holiday Park, Club, Bar, Pub or any other venue we can supply the comedians you need to make your comedy show a success. And our service goes much further than that - the success of your night is important to us, and to make it successful we can help and advise on all aspects of the show - the set-up, the equipment needed, the promotion, the organisation of the night, all of which will ensure your night is the best it can be. 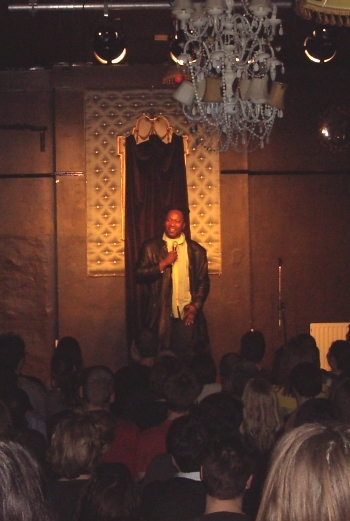 A comedy night in your venue is beneficial in many ways: To get extra customers into your venue on the night of the show; to increase dry and wet sales; to get new customers into your venue who will then use it on other nights of the week; to increase the amount of time people stay in your venue; and to increase the profile of your venue by promotions through local and national listings, the press and the internet. A Comedy show appeals across the board to all ages and types of customer. It entertains where other types of nights can leave someone feeling left out. The target audience can be very diverse, where a Karaoke, DJ or music night only targets one type of person. The type of person attracted to a comedy show is generally somebody looking for a good night out, and comedy does not attract the trouble-making element found at entertainment nights with live bands, Karaoke, football crowds and so on. A wide range of options are available and every venue receives a bespoke quote from us for the show they would like - there are a lot of variables to consider including the night of the week and the location of the venue. We can offer anything from a fully managed comedy event, to working as a booker to book acts for your venue, with you running the night yourself. 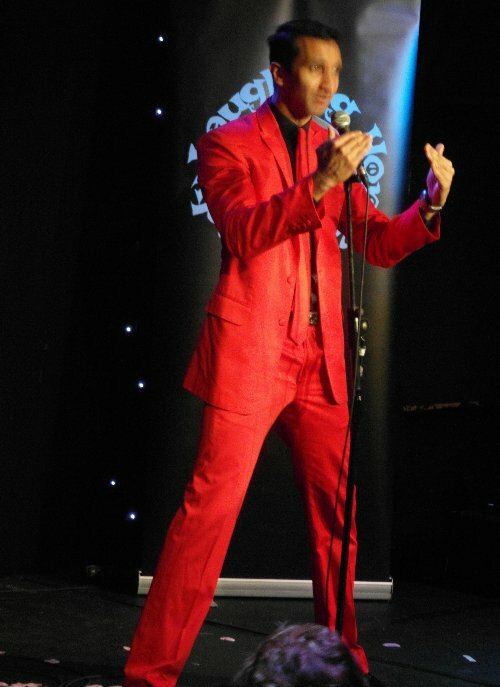 We have contact with every comedian in the UK, and a good number around the world, to book the right acts for your show. Be it a big-name celebrity show, a show of top-level circuit acts, or a night featuring the very best in new talent. We can book acts that fit with your budget and venue. Depending on the type of acts that you would like, the size of the audience, the location of the venue and the day of the week the price can vary a lot, so the prices below are just a guide and we can book a show to any budget. At this level the comedians have vast experience of the comedy circuit, and work at all of the top comedy clubs around the UK. The headliners are not household names but will provide you with a quality show you can build a strong comedy club out of. At this level the comedians will be top comedy circuit names and award winners, and will usually headline at all of the major comedy venues around the UK. At this level you are looking at comedians with TV profile such as appearances on 'Mock the Week', 'Dave's One Night Stand', 'Michael McIntyre's Roadshow' etc, along with support from some of the best comics in the UK. The Platinum show has a comedian that is now a household name as its headliner, along with support from the very best comics in the UK. Other options for budget conscious venues including a newer acts show with headliner (£200-£500), shows with fewer comedians and booking solo performers. 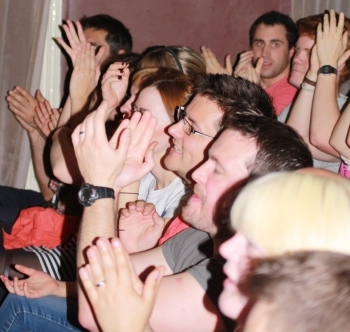 There is a host of options available to get comedy into your venue at a budget you can afford.